From Goodreads: Today is Leonard Peacock’s birthday. It is also the day he hides a gun in his backpack. Because today is the day he will kill his former best friend, and then himself, with his grandfather’s P-38 pistol. Review: I bought this book because I knew the author, Mathew Quick, wrote Silver Linings Playbook – which I haven’t read but loved the movie. I gave the summary a read and was intrigued about it right off the bat. I picked it to take a break from a long, depressing book but clearly I wanted to stick with depressing. I honestly don’t know how I feel like this book. I couldn’t get attached to it as some readers have. The topics presented were upsetting and they did hit me in that aspect. Maybe because the narrator was a male and I couldn’t fully relate to it. Maybe because I haven’t been in a school for a while. Maybe because my family life isn’t dysfunctional. I felt I was more interested in what Herr Silverman was hiding under his sleeves than if Leonard actually went through with his plans. Overall, it was a quick and enjoyable read. 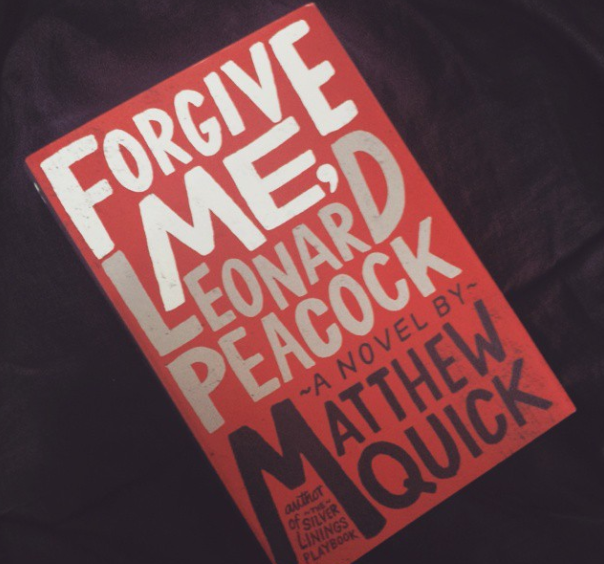 I would pick up another Matthew Quick book in the future. This entry was posted in book, book review, forgive me leonard peacock, matthew quick, review. Bookmark the permalink.